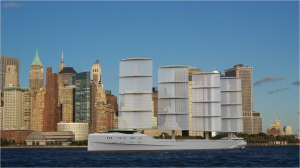 The First International Windship Association Wind Propulsion Innovation Awards recognise pioneering projects and technological innovation in the development of wind propulsion for technically and commercially viable solutions for the shipping industry. 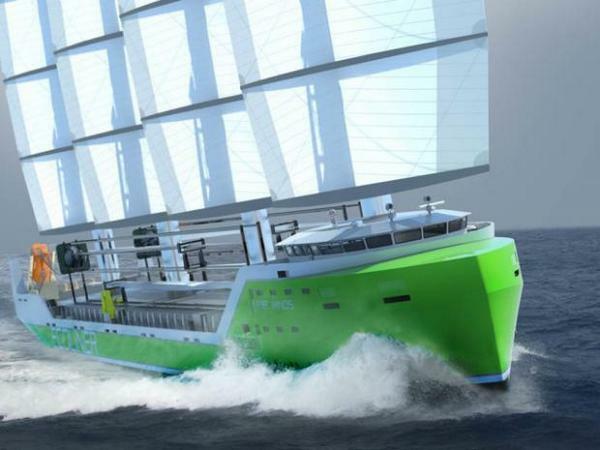 The awards spotlight individuals and companies making a real difference in advancing wind propulsion as a low carbon, truly sustainable option for the world’s shipping fleet. Nominations: Developers of innovative wind propulsion technology, commercial wind ship network building or business development in the field. 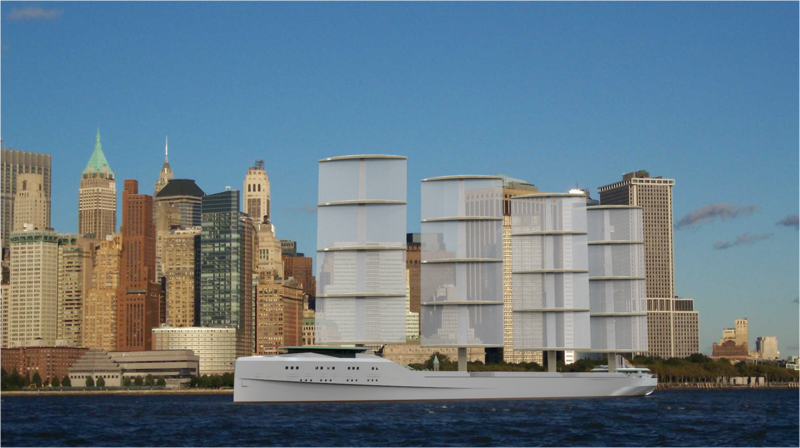 Nominations:Shipping companies that are championing the use of wind propulsion on their vessels through testing, prototype operation or commercial use. Nominations: Researchers, engineers, naval architects or academics for their contribution to the wind propulsion sector. Nominations: Outstanding figures in the wind propulsion sector over the past few decades. Sponsored by International Naval Surveys Bureau – INSB Class, is an independent-non-governmental-Greek ship classification society working with the objective of safeguarding life, property and the marine environment. Headquartered in Piraeus since 1977, INSB Class belongs to the cluster of the leading Non-IACS societies with international presence in more than 50 countries. INSB Class main services include Ship classification scheme including periodic surveys for maintenance of class, Surveys & supervision on site for ships during construction, Engineering studies, plan approval & technical review & calculations service, Statutory surveys & certification, ISM & ISPS systems assessment & certification, MLC 2006 assessments and verifications, Technical interpretation and consultancy services, Surveys of Damage, Modification or repairs. Sponsored by the Sustainable Shipping Initiative (SSI) – an ambitious coalition of shipping leaders from around the world, that is taking practical steps to tackle some of the sector’s greatest opportunities and challenges. The group is working to achieve a vision of an industry in which sustainability equals success. The SSI ultimately aims to make sustainability mainstream within shipping – delivering the vision we have for a sustainable industry in 2040. We are a group of leaders across the whole shipping value chain from ship owners to customers. Bore Shipping – Norsepower Rotors – The first Norsepower Rotor Sail was installed on the 9,700 DWT Ro-Ro carrier MS Estraden in the end of 2014. Owned by Bore, MS Estraden operates in a continuous service between the Netherlands and the UK, sailing through the North Sea’s windy corridors at speeds of 16 knots. 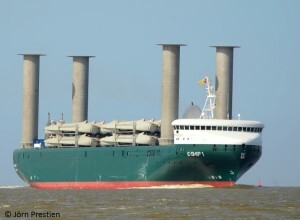 Based on the evidence of the effect of the first Rotor Sail, Bore ordered a second installation; the first commercial order for a Flettner rotor in shipping. 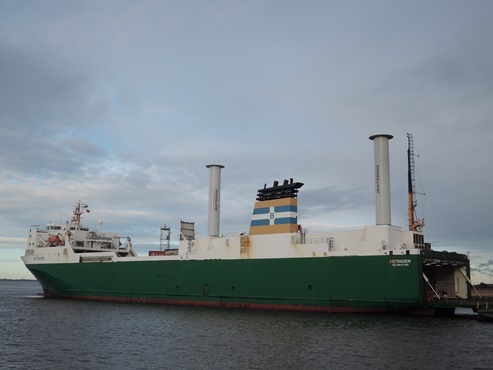 Sponsored by Norsepower Oy Ltd – developer of the Norsepower Rotor Sail Solution, a modernized version of the Flettner rotor – successfully trialled aboard the Bore’s MV Estraden, and now available to the shipping market. 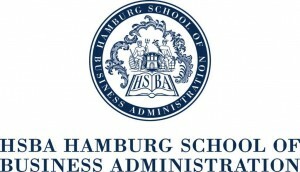 Sponsored by Hamburg School of Business Administration (HSBA) – the university of choice of the Hamburg business community. The MBA Shipping Programme is focused on Business Development in the Shipping industry and related industries with a programme that provides the students with the necessary knowledge, analytical skills and competences regarded as essential for extraordinary managerial performance in the maritime industry. High quality MBA courses for professionals from across the industry and around the world. Wilhelm Proelss and Bernd Wagner – Windship Research & Dynarig. German inventor of the rotor ship, vessels propelled by revolving cylinders mounted vertically on the ships’ deck and harnessing the Magnuss effect to assist the vessel’s propulsion. 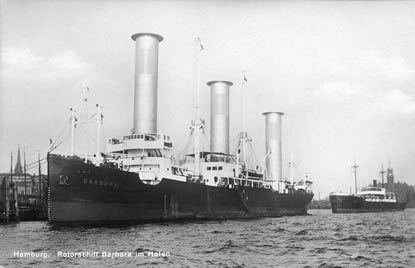 Flettner saw two rotor vessels built in his lifetime, firstly the test vessel Buckau in 1924-5, followed by the Barbara in 1926. 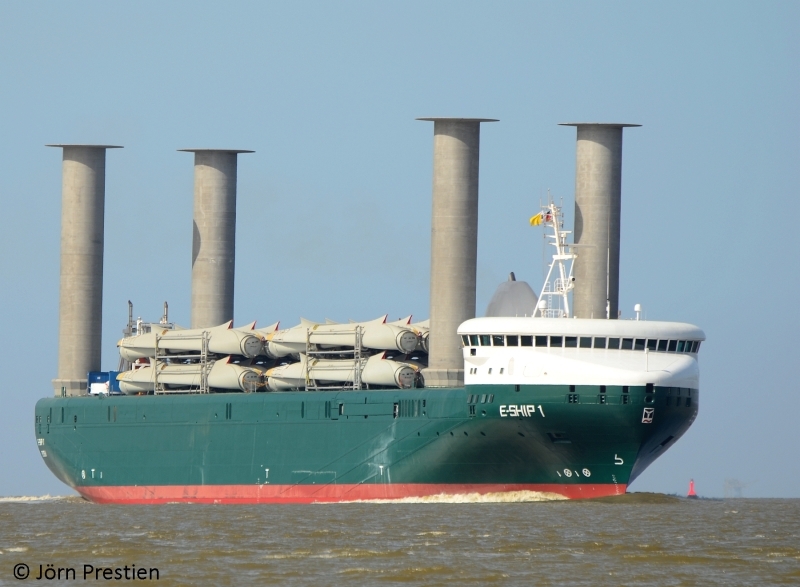 These vessels proved the principles involved in harnessing the wind using rotors and much later in the 21st century we see variations of these rotor designs used on Enercon’s E-ship1, Bore’s M/V Estraden and soon to be tested on Fehn’s M/V Pollux. 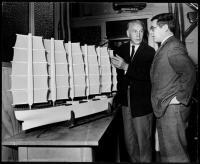 Wilhelm Proelss was the farsighted engineer to conceive an efficient and mechanised square sailing rig for commercial use according to the state of technology in the 1960s. Tests and speed predictions at IfS in Hamburg confirmed the superior performance of the DYNA-Rig over the traditional tall sailing rigs of the 1900s. Windship research was continued in Hamburg with the INDOSAIL-project to evaluate a variety of advanced Schooner rigs and to build and test a prototype cargo sailing ship of efficient performance and easy operation in the 1980s and -90s. 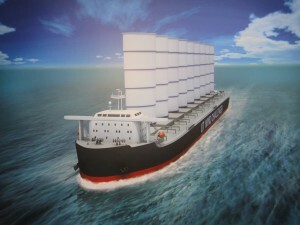 The results of these activities and further proposals confirm today that the use of modern wind propulsion (together with higher efficiency and better fuels) is an essential component of the road map to sustainable shipping and zero-emission. The technical prerequisites and a variety of components are close-to or readily available – we need just to start the practical implementation. Shortlist selection: The decision by the panel of judges for shortlisting of the projects for the three main categories will be final and IWSA will have no influence upon that selection process. Final Voting: The voting and selection of the winning project in each of the three main categories is from an open online vote. IWSA will undertake promotional activities for the award but will have no undue influence upon that voting process. The announcement of the Award winners will be a final decision. IWSA and the Award sponsors will not be held liable for any losses or damages incurred by participation in this selection process and reserve all rights. All nominations will be assessed by our expert panel of guest short listing judges drawn from across the shipping industry, shipping research, wind propulsion specialists and the maritime media. Nishatabbas Rehmatulla (Dr.) – Research Associate, UCL Energy Institute. 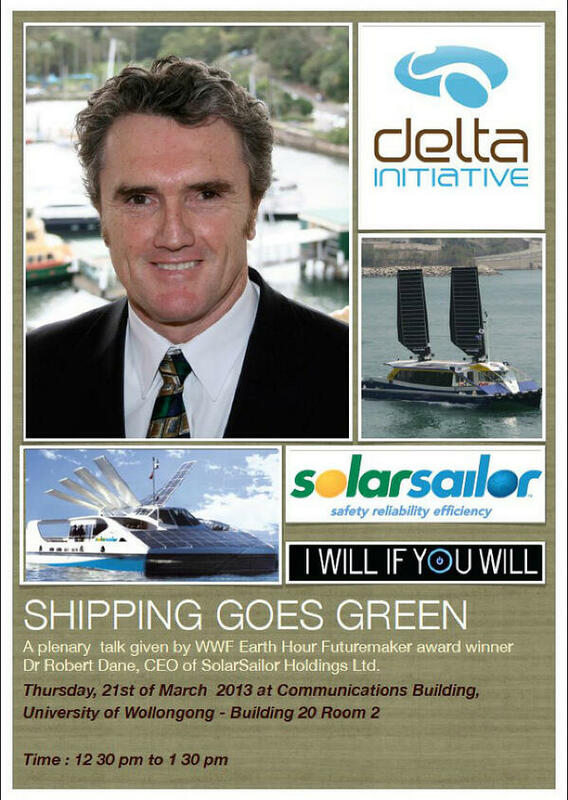 Alastair has, since 2014, been Chief Executive of The Sustainable Shipping Initiative, a coalition of leading companies in the shipping industry seeking to lead the industry to a sustainable future. Prior to that Alastair was General Manager – Fleet Management for Rio Tinto where he was responsible for the building and operation of a fleet of seventeen large bulk carriers as well as sustainable development. Alastair started his career as a deck cadet, is qualified as Master Mariner and holds an MBA. He has worked in shipping and the mineral resources industries in a number of roles. He is a member of the Lloyds Register Classing Committee and is chair of the Sailors Society, a Christian maritime charity focussed on seafarer welfare. He has served on the boards of organisations such as Rightship (where he was chair for four years), the UK Chamber of Shipping and the World Ocean Council (chair from 2013-2014). He has also served on the UK committees of Class NK and DNV. Catherine Austin owns and operates Fathom Maritime Intelligence as the Executive Director. Through this company Catherine principally drives the development of technical publications that support ship owners and operators to act upon their environmental impact and ship efficiency in addition to acting as an expert consultant on environmental matters. She also often acts as an expert contributor to research, policy and analysis within the low carbon development and maritime spheres collectively. Catherine has been the editor of the quarterly trade news publication Ship Efficiency Review for the past 18 months and is responsible for the associated daily online news. Previous to her joining Fathom Maritime Intelligence as a company director, Catherine held the role of Senior Operation Associate for the Carbon War Room’s Shipping Operation. Amongst the many projects that she coordinated during her two-year tenure in the role, she takes most pride from ferociously advancing the A-G ship efficiency index, as hosted on shipefficiency.org, driving its uptake and application by financial institutions, charterers and global ports. Prior to her roles in the maritime industry, Catherine worked within the water and energy industries. She graduated from the University of Wales Swansea, School of Engineering with a Master of Research degree in Environmental Management and an undergraduate degree in Biology; she has a scientific research background complimented by a fervent passion for sustainability and low carbon innovation. Catherine is also a proud Ambassador for the Sailors Society. Lloyd’s List is the oldest shipping trade news source in the world. It has been at the forefront of maritime journalism, reporting the trends, news and risks in merchant shipping since 1734. Craig Eason is a former ship navigating officer with sea time on a number of different vessel types. He left the sea and became a qualified journalist in 1996, working on British radio and television before being engaged by business communication companies to help establish offices in Stockholm, Copenhagen and Canada. In 2004 he began working for Informa, the parent group owning Lloyd’s List, and in 2007 was appointed marine technology editor for the newspaper, where he has been covering the developing challenges facing the shipping industry, one of which is environmental compliance. In recent years Craig has also been back onboard vessels as a journalist and writer, submitting his experiences in a series of blogs, highlighting life onboard from a real seafarer’s point of view and observing the developments of a range of new technologies the industry has the challenge of adapting to. In 2014 Craig was appointed deputy editor with a remit to help build up Lloyd’s List as a dynamic media platform for the industry. Currently supporting and facilitating the implementation of performance management strategies and technological interventions on BG’s LNG vessels providing fuel cost and environmental savings. Previously involved in wind-assisted propulsion studies and author of a relevant Lloyd’s Register publication. Mr. Gary A. Mc Intyre is the Technical Project Manager at J.Lauritzen, in Denmark, where he is leading and managing the company’s global Projects. Mr. McIntyre has a strong business mindset and expertise within project management. He has a BSc. from the Southern University of Denmark in Mechanical Engineering with focus on Robotics and an Executive MBA from Technical University of Denmark in Management of Technology, which has a focus on Leading Innovation, Strategic Growth and Leading & Managing Organizational Change.Throughout his career he has been involved in many different types of innovative international projects both in the maritime sector and other industries. Mr. Mc Intyre is also on the Board for; Society for Health, Welfare and Technology at IDA (Danish Society of Engineers) since 2009. Through IDA he creates awareness and help drive the focus on the impact of innovative technologies and its possibilities within societal trends. In his spare time Mr. Mc Intyre dedicate his time to coaching and activating kids through sports by arranging and participating in various camps. His philosophy has always been – through an innovative environment, everyone can benefit in the most positive way in whatever they strive for. Founded in 1920, The Motorship is the longest established magazine covering the propulsion, machinery and technology of deep sea-going merchant vessels. It also hosts the industry’s busiest daily news website, and runs two well-attended conferences: Propulsion & Emissions, now in its 38th year, and Gas Fuelled Ships. Gavin joined the title as editor in January 2015 from the aviation sector, where he edited and wrote for several publications. Jasper Faber (1969) is co-ordinator of CE Delft’s work on maritime transport and manager economics. He has over ten years of experience in consulting policy makers and companies on sustainable maritime transport. He combines a good understanding of technology, economics and operational issues with knowledge of policy making and strategy development. This allows him to effectively consult regulators, infrastructure providers, shipping companies, NGOs and other organisations on ways to improve sustainability. Jasper has published over 25 public reports. He is currently lead the IMO study on fuel availability that will be an input to the decision on the date of implementation of the global sulphur cap for maritime transport. He was a lead author of the 3rd IMO Greenhouse Gas Study 2014 in which he wrote the chapter on emission projections. He has published a report on the historical development of the design efficiency of ships that has been quoted in over 50 news media. He currently assists the European Commission on assessing the impacts of the MRV regulation. Jasper has been a member of the German delegation to MEPC since 2008, focussing on greenhouse gas and energy efficiency issues and related policies. He was a member of the European Commission’s High Level Platform on reducing Greenhouse Gas Emissions from Ships and has led the Impact Assessment of European policies to address greenhouse gas emissions of ships for the European Commission. Jasper has developed the Environmental Ship Index (ESI) for the World Port Climate Initiative, advised Dutch ports on sustainability indicators and consulted the Panama Canal Authority on how to add value to the Green Route. Jasper’s clients include the IMO, the European Commission, governments of Germany, Belgium, the UK and the Netherlands, shipping companies, ports, and NGOs. Jasper holds a PhD in economic history. Katharine Palmer qualified with a BSc (Hons) in Environmental Science from the University of Leeds, UK and a MSc in Environmental Biogeochemistry from the University of Newcastle upon Tyne, UK. Katharine has 15 years experience in marine environment and the shipping industry and currently leads the Environment & Sustainability business for Lloyd’s Register Marine providing advice and consultancy to a wide range of marine stakeholders including regulators, ship owners and operators and trade associations on sustainability, environmental and energy efficiency leading practice and future environmental regulation strategies. Katharine is an established industry expert in marine environmental issues and has held a number of positions on external industry bodies, currently Katharine is the rapporteur for the verification & accreditation for the ESSF Sub group, an Elected Trustee for the Sustainable Shipping Initiative and co-chairs the IMarEST technical leadership Board. A physicist by training, Michael spent a few years at the Institute of Propulsion Technology, in the German Aerospace Centre. Becoming ever more interested in climate change, he moved on to the Tyndall Centre for Climate Change Research at the University of Manchester, to conduct research on quantifying greenhouse gas emissions from shipping, and on wind power technology as a mitigation option. 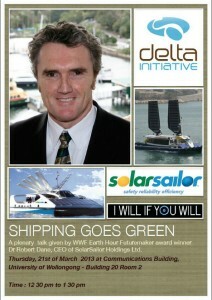 He has been part of the EPSRC-funded research projects High Seas, Fleet Suite, and Shipping in Changing Climates. He has delivered consultancy work for various partners and is a co-author of the 3rd IMO GHG Study. Shipping and aviation, the global means of transporting goods and people, respectively —and and how to reconcile them with climate change mitigation targets and make them more sustainable— remain the focus of his work. In addition, he investigates wider questions about, and potential responses to climate change – as an active member of the diverse researcher community at the Tyndall Centre. Michael Vahs, since 2000 appointed professor for ship operation and simulation at “Hochschule Emden-Leer” (University of applied Sciences) has graduated in Maritime Transport from Hamburg Polytechnic in 1989 and then undergone a career in the merchant marine on various types of ships up to the Captain’s position. After 3 years of studying “Maritime Education and Training” he was appointed as Maritime Lecturer and qualified for Professor’s appointment in 2000. 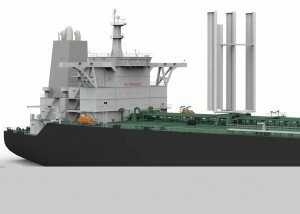 At university his field of research has been strongly related to green shipping, in particular the development and operation of sail systems for cargo ships. 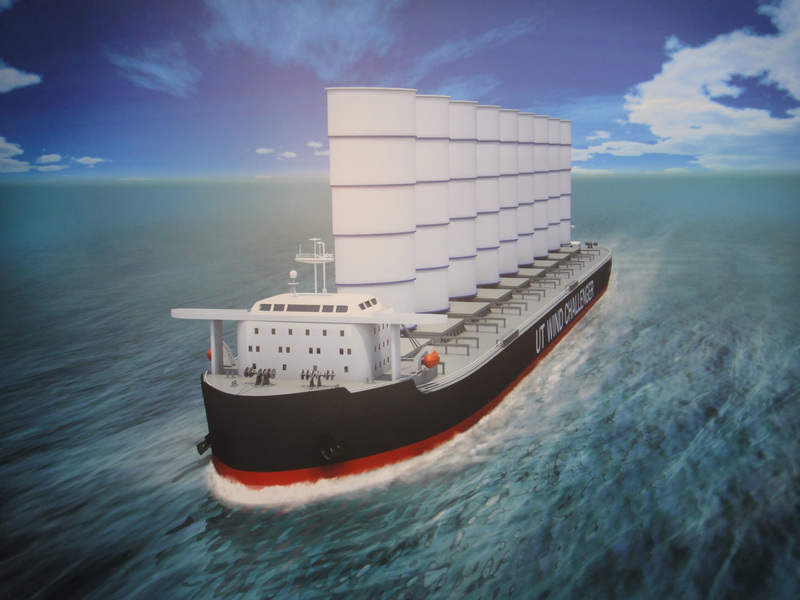 Major R&D projects were SkySails, E-Ship 1, Wind Hybrid Coaster and Eco-Flettner. Research Associate, UCL Energy Institute. Nishat is a Research Associate at the UCL Energy Institute and is involved in the Shipping and Changing Climates project. He is responsible for managing the work package dealing with supply and demand interaction, investigating the implementation of energy efficiency measures and barriers to their uptake as well as policies to accelerate transition to a low carbon industry. He gained his PhD in Energy and Transport ‘Market failures and barriers affecting energy efficient operations in shipping’ from UCL in 2014. He has a BSc in Management and an MSc in Energy, Trade & Finance, both from Cass Business School, City University. Orestis is the Professor of Shipping & Ship Finance and Head of the Maritime Business School at the Hamburg School of Business Administration (HSBA), since 2008. He has broad experience in the maritime and logistics industry and has provided his services to private and public entities in Europe and the GCC, as well as to international organizations. Orestis’ academic work focuses on the commercial and financial aspects of maritime ventures while he retains a keen interest on sustainable business development. His scientific contributions have been published in academic journals and books, while lately he published the ‘HSBA Handbook on Ship Finance’. 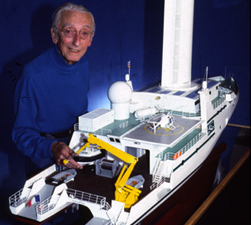 Peter Schenzle, German born Naval Architect educated at the Universities of Stuttgart,Hannover & Hamburg. His 40 years of experience in the shipping world have included extended periods as Scientist & Research Assistant in Hydrodynamics & Seakeeping at the Institutfür Schiffbau, University of Hamburg, over 25 years as Scientist & Research project manager specialising in Aero-Hydrodynamics and Propulsion at the Hamburg Ship Model Basin (HVSA) from 1978-2005. He was also Research project manager to design and build a Modern Cargo Sailing Ship for the Indonesian-GermanR&D Project INDOSAIL1980 – 1995 resulting in the successful building, launch and operation of the SV Murata Jaya. Over the past 16 years he has also brought his wealth of experience to a new generation as an external lecturer of Sailing Ship Technology at the Technical University of Hamburg-Harburg and previously at ENSIETA; Brest, France. Pierre C Samesholds the position of Group Technology and Research Director at DNV GL. He is responsible for managing the corporate strategic research and technology development projects. His previous experience includes research into hydrodynamic extreme loads, risk analysis, shipping emissions, LNG as ship fuel, rule development and regulatory affairs as well as innovation management. He joined GL in 1995 after studying naval architecture in Hamburg. Sam Kimmins is a Sustainability Manager with 20 years’ experience translating industry-leading practice into commercial opportunity across the shipping, aviation, food, construction and NGO sectors. For the past six years Sam has led companies to success across multiple sectors as Principal Sustainability Advisor atForum for the Future including for ABNAmro, BT, China Navigation, JSainsbury, Maersk, NZ Sustainable Business Council, UCL, and the Welsh Assembly Government. While at Forum, Sam spearheaded the Sustainable Shipping Initiative, which recently won the Guardian Sustainable Business Award for innovative consultancy. Sam spent two of these years embedded as an advisor for Air New Zealand, steering the development of apioneering sustainability strategy that won them recognition as Eco-Airline of the Year in 2015. Seconded for eight months to Swire Pacific Offshore in Singapore, Sam implemented the global supplychain audit system for suppliers over £1m across the UK, Azerbaijan, Ivory Coast and Angola. Previously, Sam spent 10 years developing and embedding sustainable design strategies while running BREEAM teams for major built environment projects at WSP and Beyond Green. Clients included Bovis Lend Lease, B&Q, Savilles, Sir Robert McAlpine, Emirates Stadium and Heathrow Airport Terminal 5. Sam has presented at more than 20 conferences including for WWF, Capital Link, BRE, and Ship Recycling Forum. He won theCIOB Gold Award for The Green Building Handbook and has been quoted in Lloyds Register, the Guardian and has appeared on BBC Radio 4 and Radio 5 Live. He is currently non-executive director of the Ethical Consumer Research Association and advisor to the New Zealand Sustainable Business Council. Sam holds an MSc in Pollution and Environmental Control from the University of Manchester and a BSc in Natural Environmental Science from Sheffield University. With global experience in Singapore, Guatemala, Korea, Japan, New Zealand and Denmark, Sam currently lives in London where he can often be found teaching Lindyhop swing dance and blues harmonica.